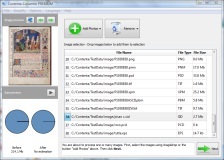 Contenta Images To EPS is a simple and powerful tool to convert your photos. It is simple to use because of its intuitive interface that gives you control over what you are doing. It is also powerful because you can configure important settings and automate common tasks. In two sentences, here is how the software works: First, tell which photos you will convert. Then tell how you want the album to look and click 'Start!'. That's all there is to do! select all photos from a particular directory using the button 'Add Folder'. You can also choose to add recursively all photos contained in the subdirectories. 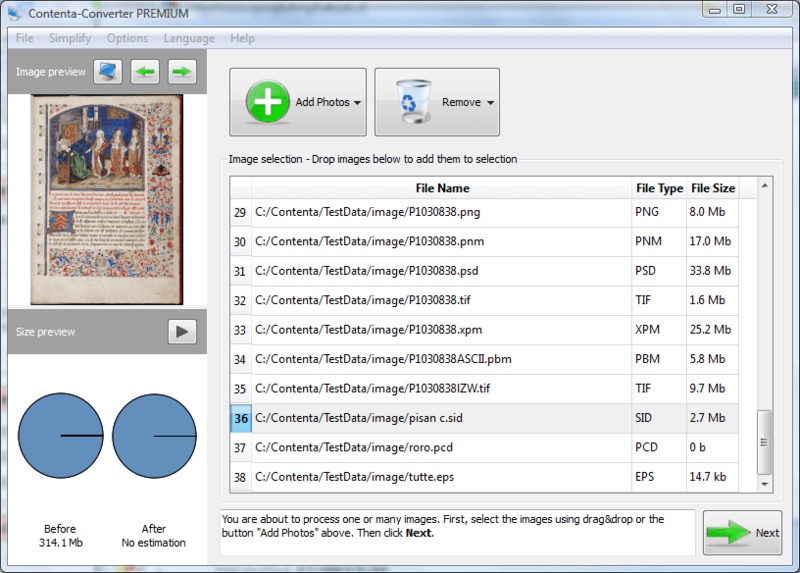 The following image formats are readable for conversion: JPEG,JPEG 2000, PNG, GIF, TIFF, BMP, CUT, G3, DDS, IFF, PCX, PCD, KOA, SGI, RAS, JNG, MNG. When you are ready to continue, click on the button 'Next'. There is only one mandatory parameter to start converting: choosing the output directory where your album or all your converted EPS images will be saved. 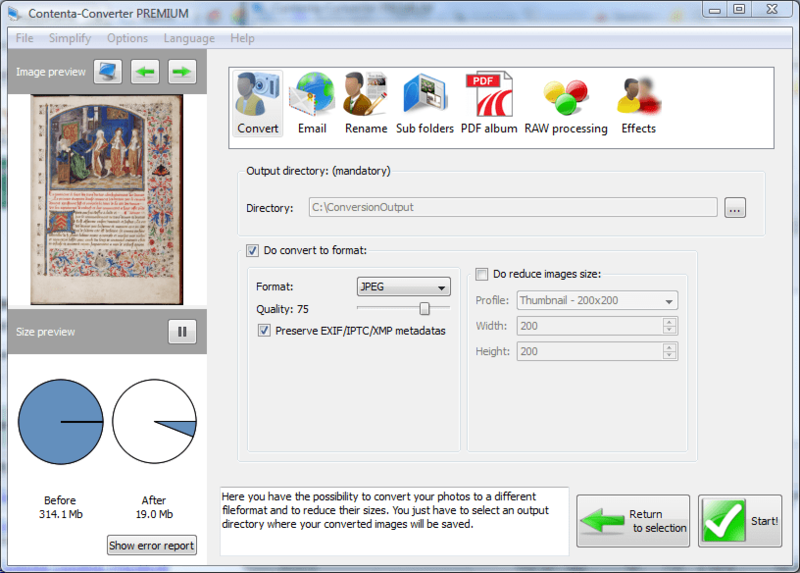 You can optionally choose to reduce the picture to a maximum size. Klikk på Start! og du er ferdig.